The HPE Platinum Plus and Titanium power supplies enables HP Power Discovery Services which focus on increasing compute density while reducing data centre outages. 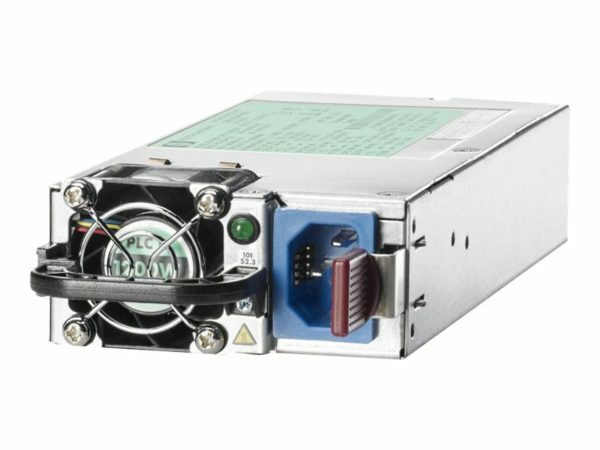 The Common Slot Power Supply kit 1200 Watt by Hewlett Packard Enterprise easy serviceability and maintenance by being hot-swappable and providing a tool-less installation. The Common Slot Power Supply kit 1200 Watt delivers greater power efficiency when using redundant power supplies to reduce overall power usage. The Common Slot Power Supply kit 1200 Watt maximise flexibility, reduces human error during the installation process and accurately measure/monitor power usage.